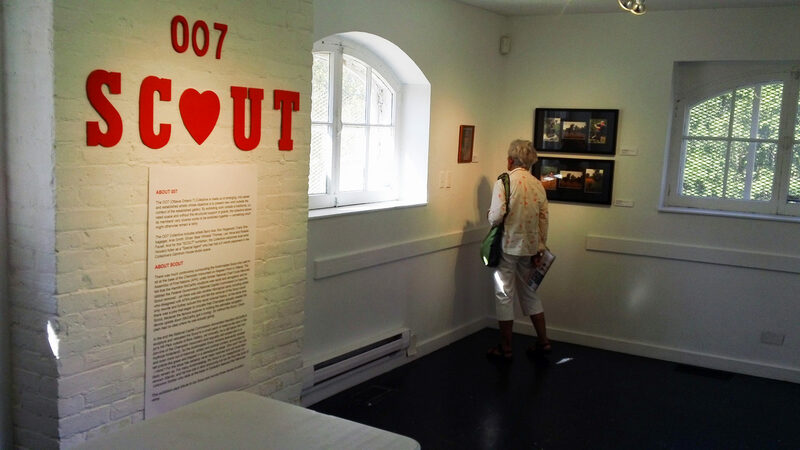 In 2013, the OO7 Collective was approached by Barbara Cuerden of Ottawa’s BLINK Gallery Collective offering their venue, Header House, owned by National Capital Commission (NCC) on the grounds of Major’s Hill Park. 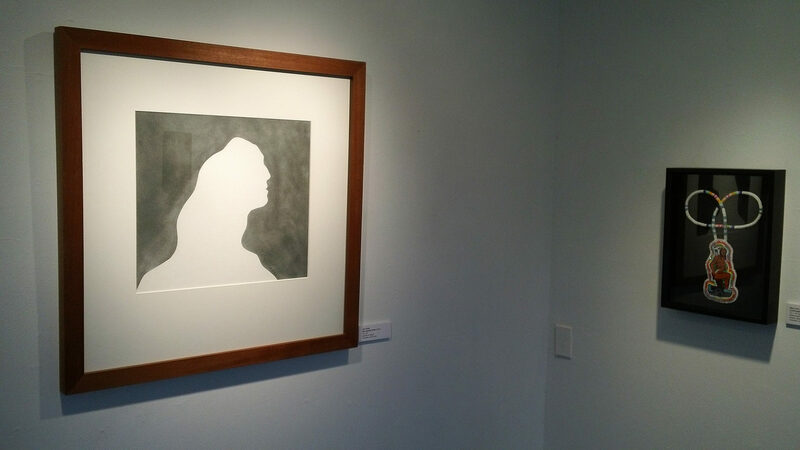 Blink Gallery is located directly opposite of the National Gallery of Canada (NGC). 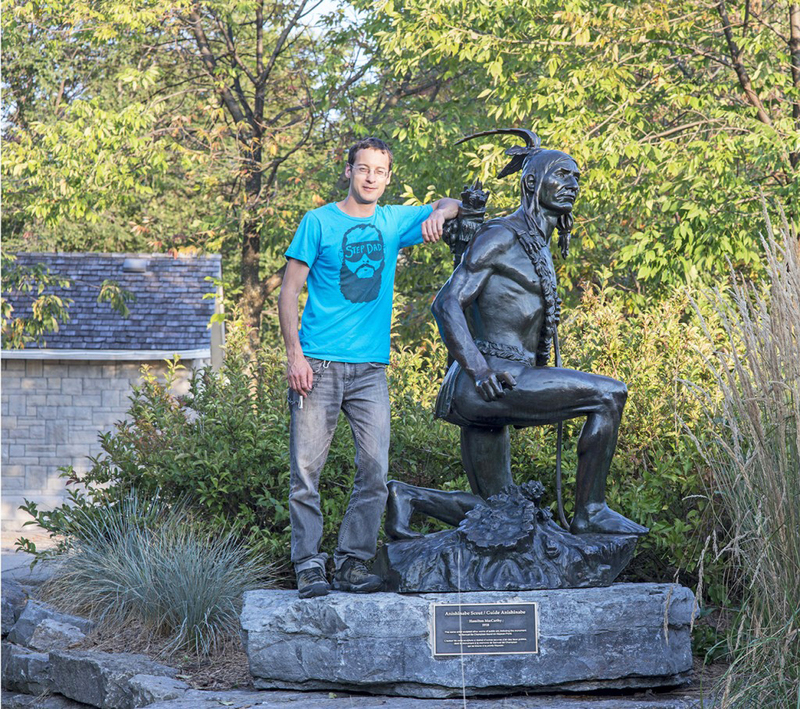 In 1999, controversy regarding the Hamilton MacCarthy monument of Samuel de Champlain situated on Nepean Point behind the NGC came to the forefront. 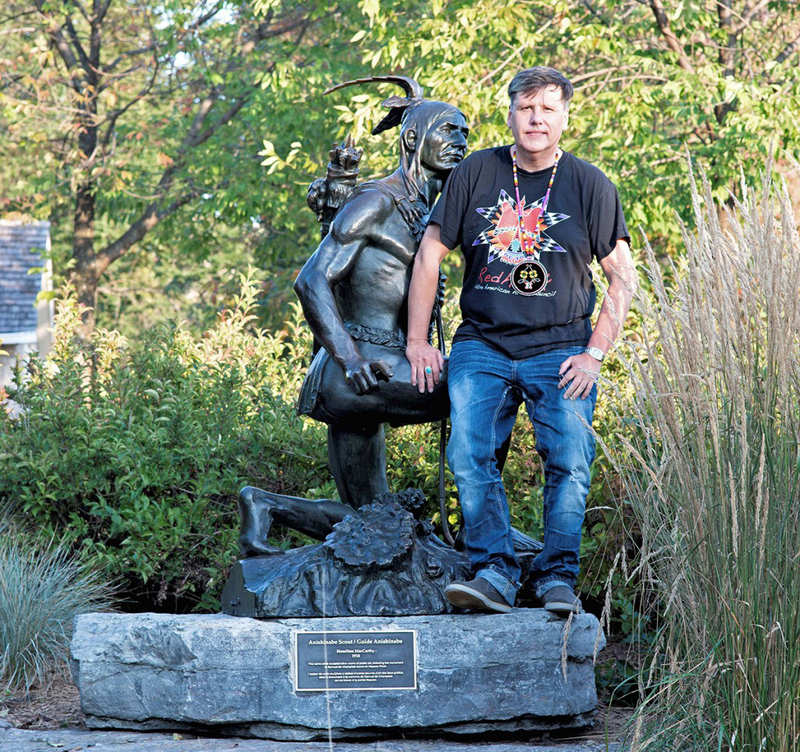 Under pressure by former National Chief Ovide Mercredi of the Assembly of First Nations, the NCC conceded and removed the kneeling Indigenous figure at the base of the monument to Major’s Hill Park directly beside the Header House. 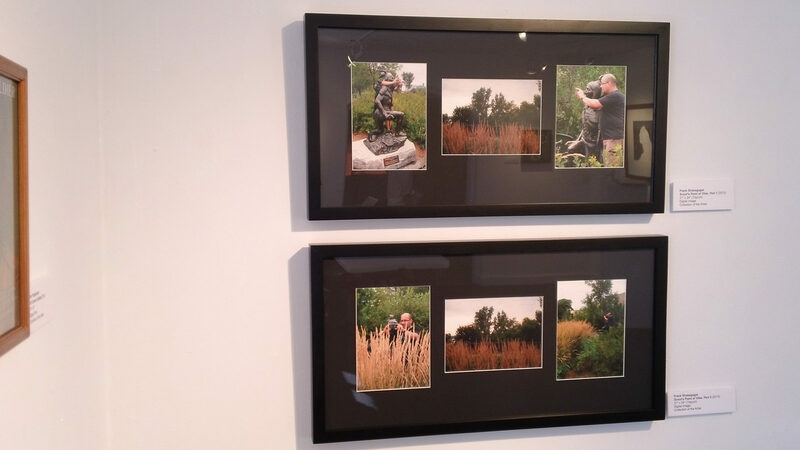 Photographer Jeff Thomas was the first to comment and begin documentation of the Champlain Monument and the dismantling in his series Seize the Space. 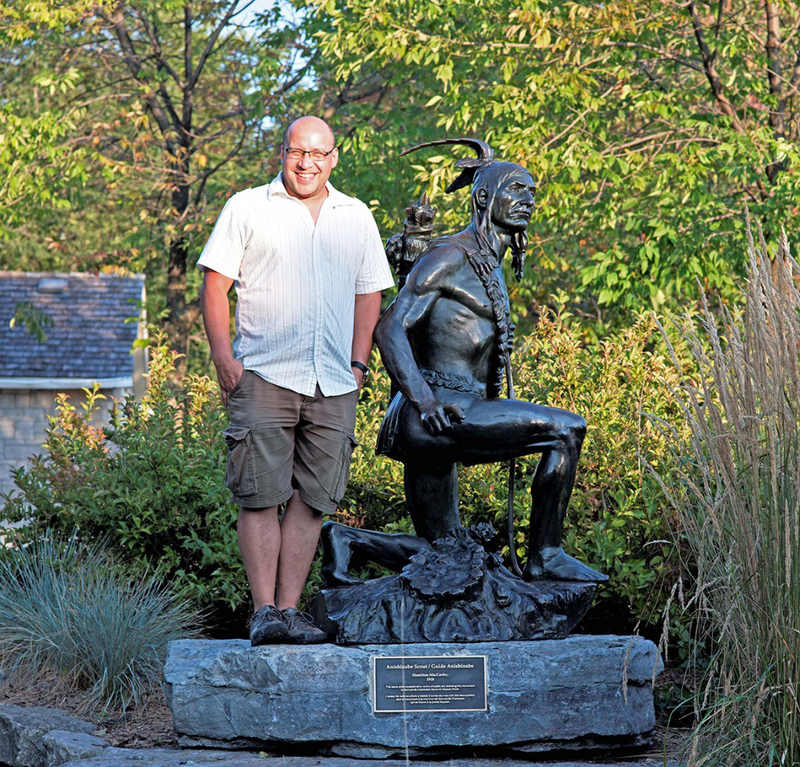 The year 2013 marked the 400th Anniversary of Samuel de Champlain, the French explorer and cartographer, and his travels up the Ottawa River and encounter with the Anishinaabeg of the Ottawa-Gatineau region. 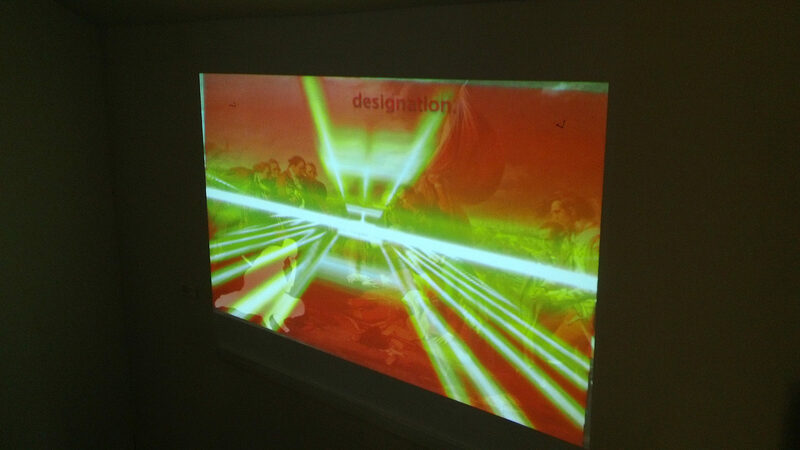 The event was to be marked and celebrated by the Embassy of France who funded a major sound and light show that included a massive circular viewing platform that was built around the Champlain monument. 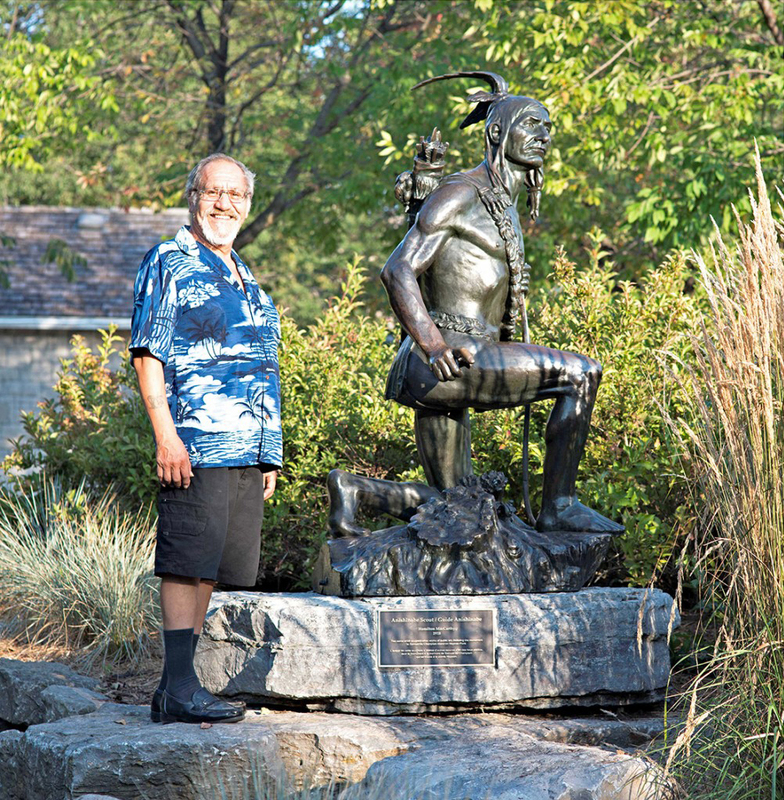 Simultaneously, Carleton University hosted the Champlain on the Anishinabe Aki Colloquium, a two day conference held on September 19th and 20th, 2013, also documented by Jeff Thomas in the series Lest We Forget. 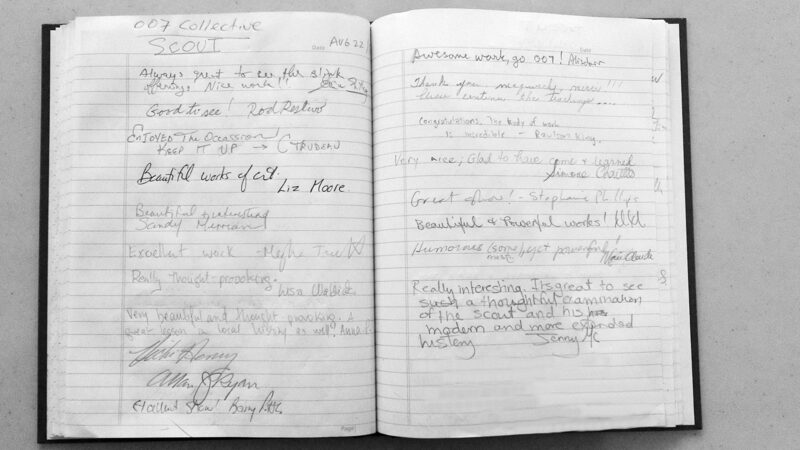 The OO7 felt that is was timely, considering the events emerging at the time, to reignite the controversy surrounding the Champlain monument, with the exhibition SCOUT. 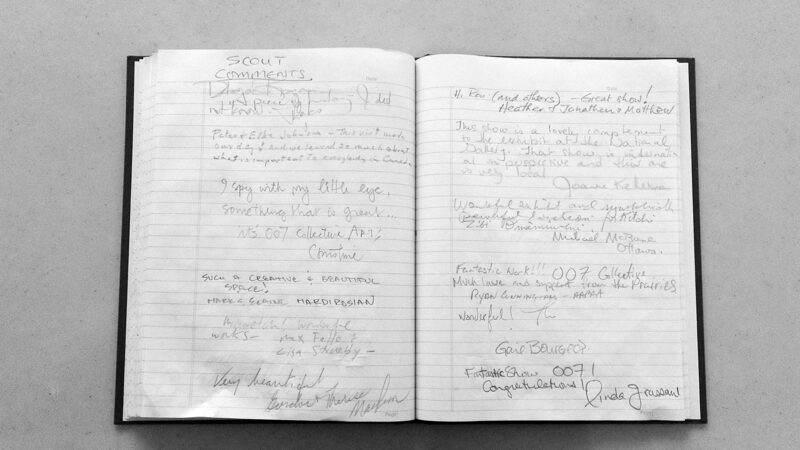 The OO7 invited local artist and Asinabka Film & Media Arts Festival co-founder Howard Adler to be the third OO7 Special Agent. 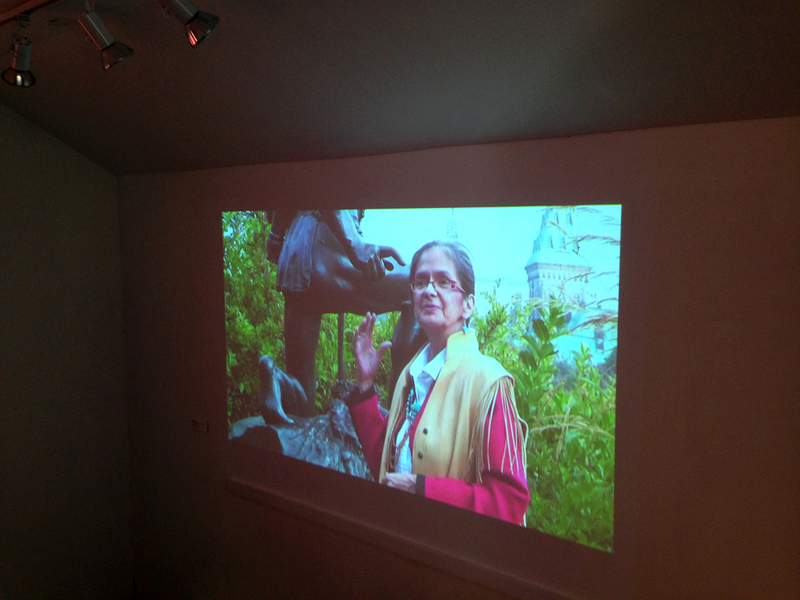 Howard created a video work on the Hamilton MacCarthy “scout” and approached elder Annie St. George of Kitigan Zibi Anishinabeg to conduct a public naming ceremony and the “scout” was named Kitchi Zibi Omàmiwininì, the original name of the people of the area – “big river people”. 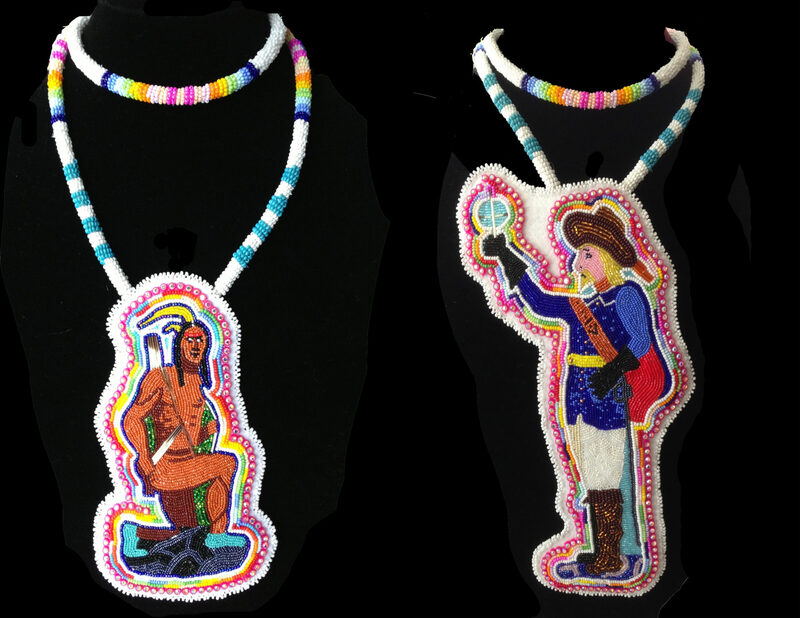 Other events included an impromptu ‘low-tech’ light show consisting of glow sticks during the Champlain celebrations on Nepean Point that was attended by the Carleton University symposium members, including the Chief of Kitigan Zibi Anishinabeg Gilbert Whiteduck. 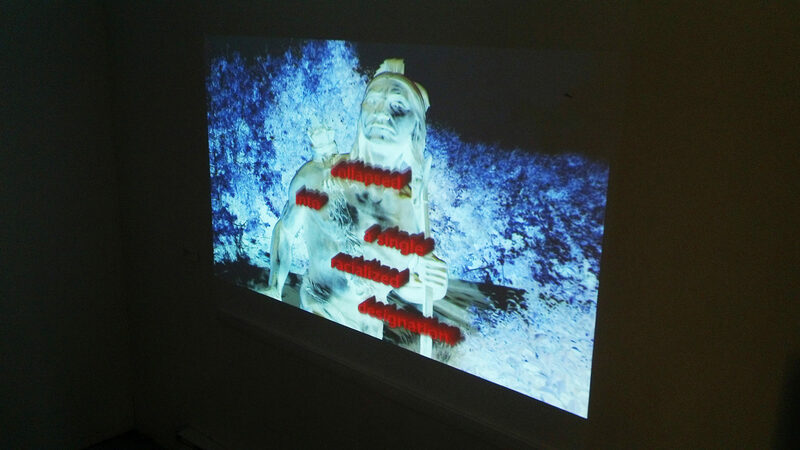 This was documented in video short by artist/musician Melody McKiver. 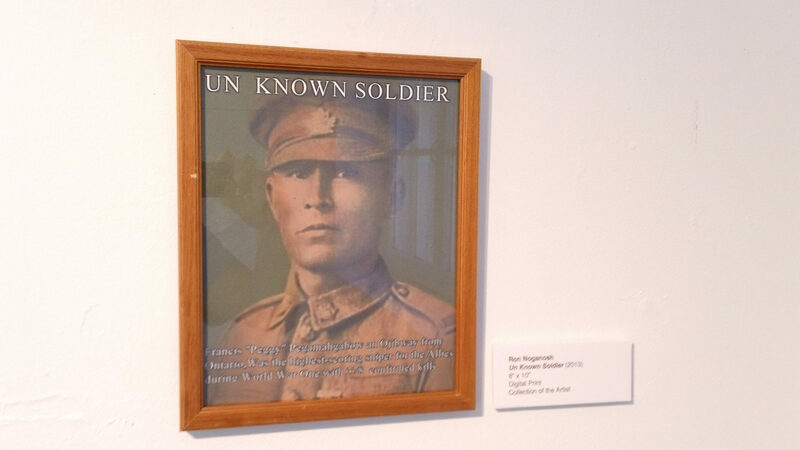 Jeff Thomas also undertook a portrait series of the OO7 Collective and invited participants to be photographed with Kitchi Zibi Omàmiwininì as part of Lest We Forget. 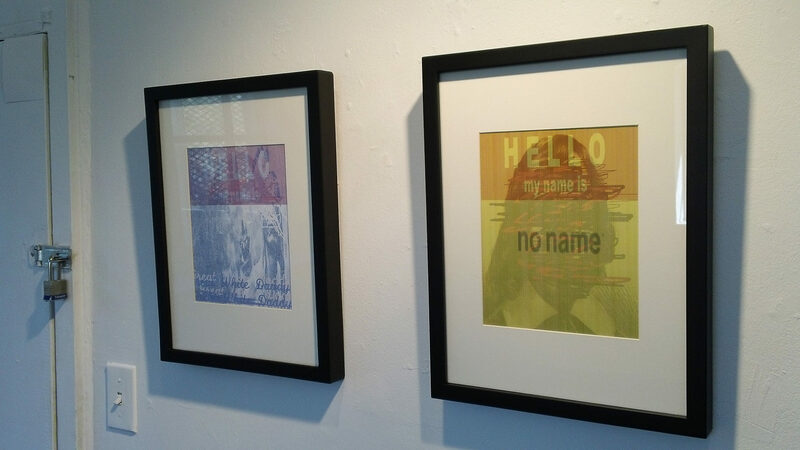 The exhibition also garnered press with coverage by Waubgeshig Rice for the CBC and Peter Simpson for the Ottawa Citizen newspaper. 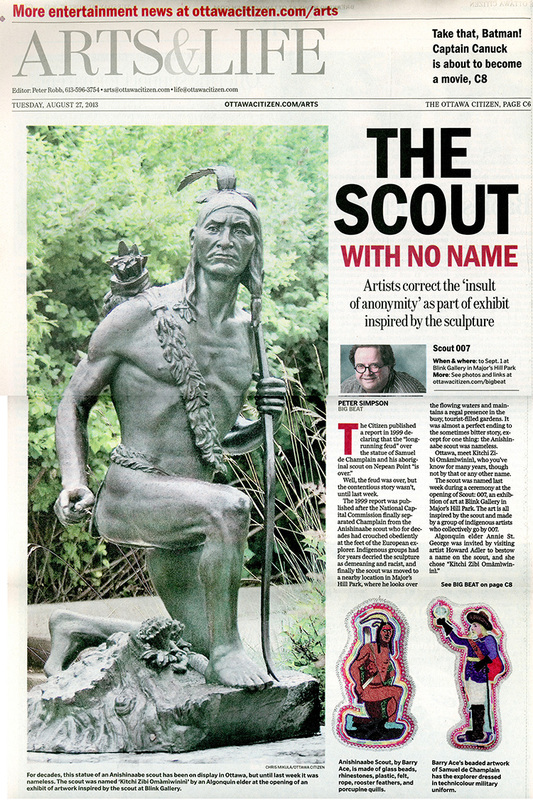 There was much controversy surrounding the Anishinaabe Scout who use to sit at the based of the Champlain monument at Nepean Point in Ottawa. 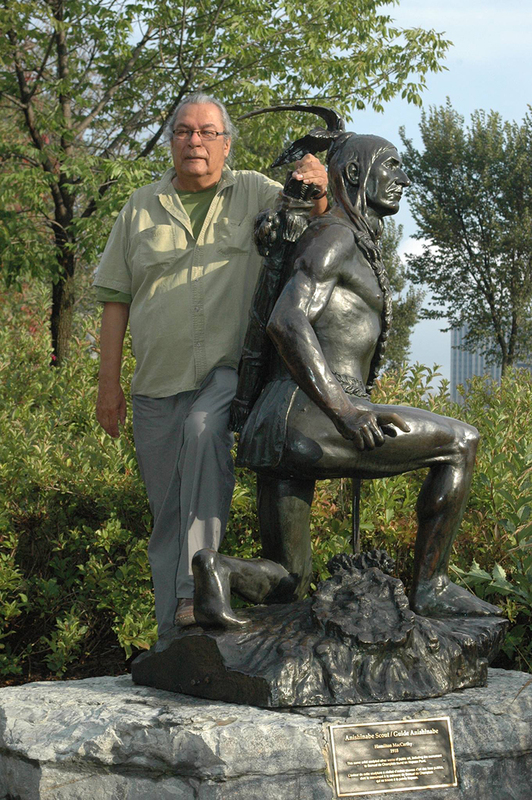 The Assembly of First Nations (AFN), under former National Chief Ovide Mercredi, felt that the Hamilton MacCarthy sculpture was racist and derogatory and he lobbied the Federal Government (National Capital Commission) to have the Scout removed – yet there was also another Indigenous camp including artists who disagreed with AFN’s position and felt the removal of the Scout would only rewrite and further subvert this racist colonial history. 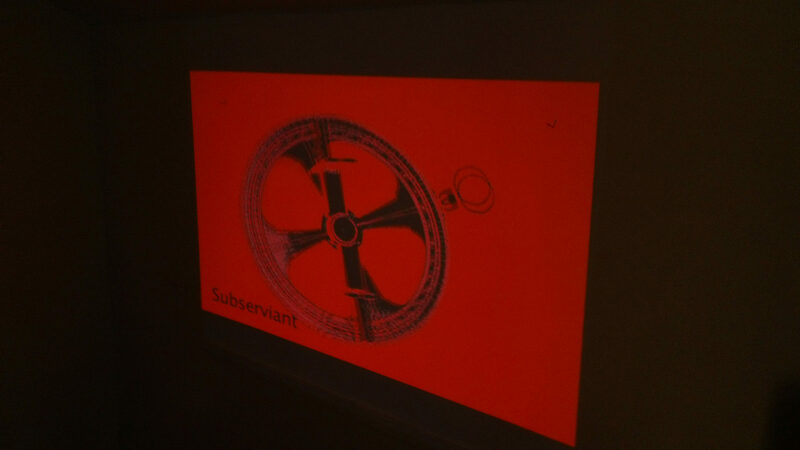 At the same them there was a joke that began to circulate that Champlain actually needed the Scout, because the famous explorer is holding the astrolabe navigation device upside down (MacCarthy got it wrong). 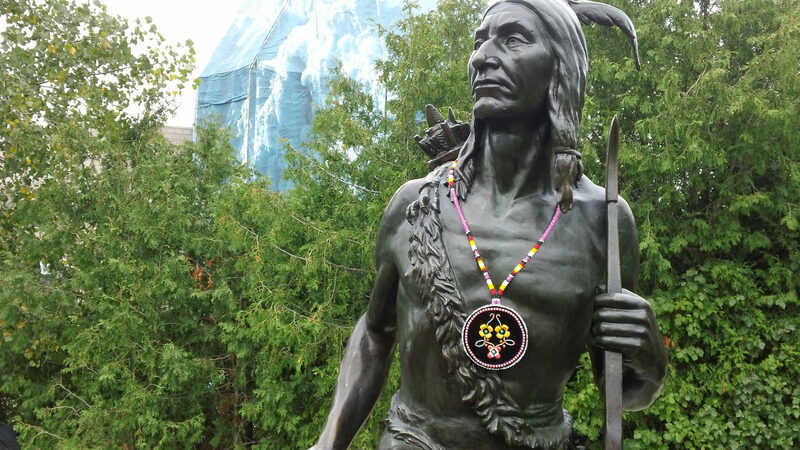 So without the Scout, Champlain had no idea where he was actually going. 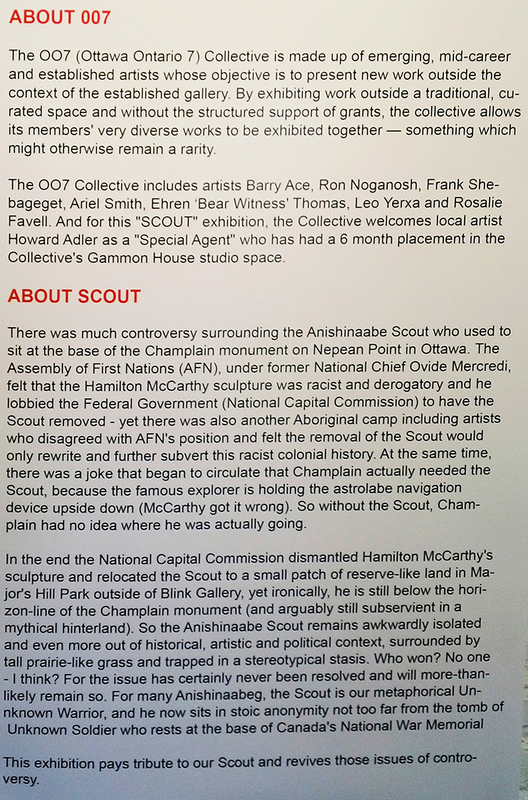 In the end, the National Capital Commission dismantled Hamilton MacCarthy’s sculpture and relocated the Scout to a small patch of reserve-like land in Major’s Hill Park outside of Blink Gallery, yet ironically, he is still below the horizon-line of the Champlain monument (and arguably still subservient in a mythical hinterland). 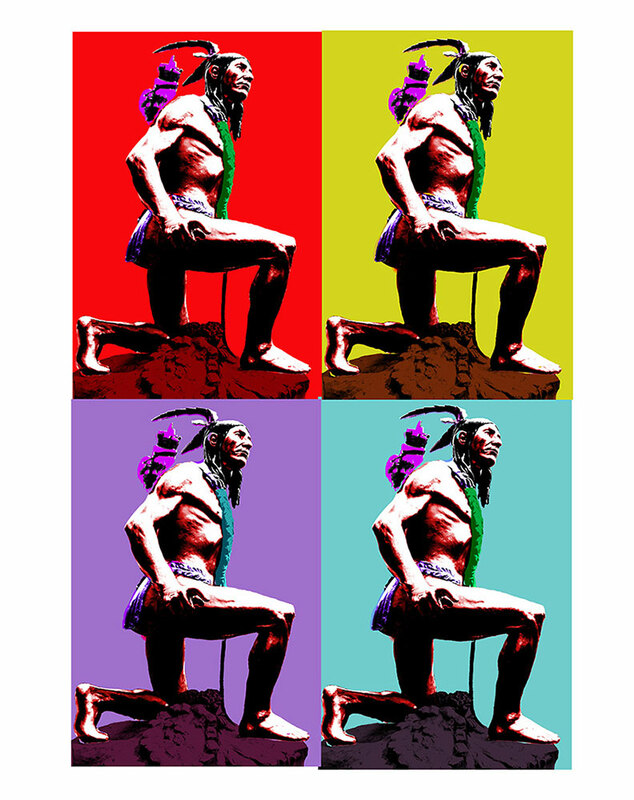 So the Anishinaabe Scout remains awkwardly isolated and even more out of historical, artistic and political context, surrounded by tall prairie-like grass and trapped in a stereotypical stasis. Who won? 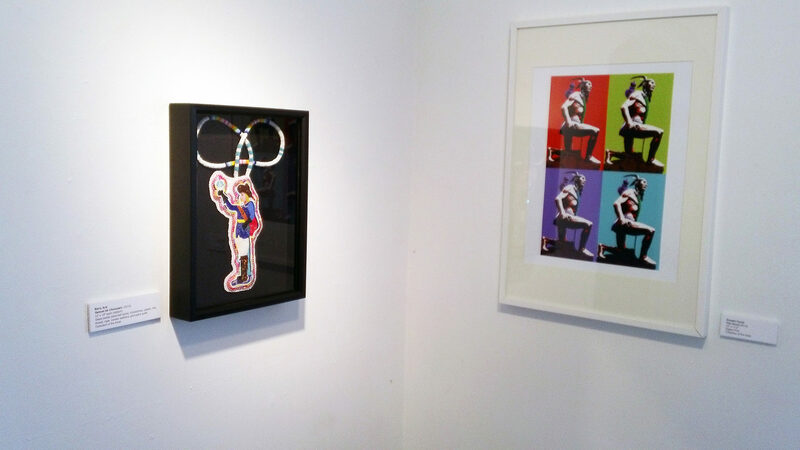 No one – we think? For the issue has certainly never been resolved and will more-than-likely remain so. 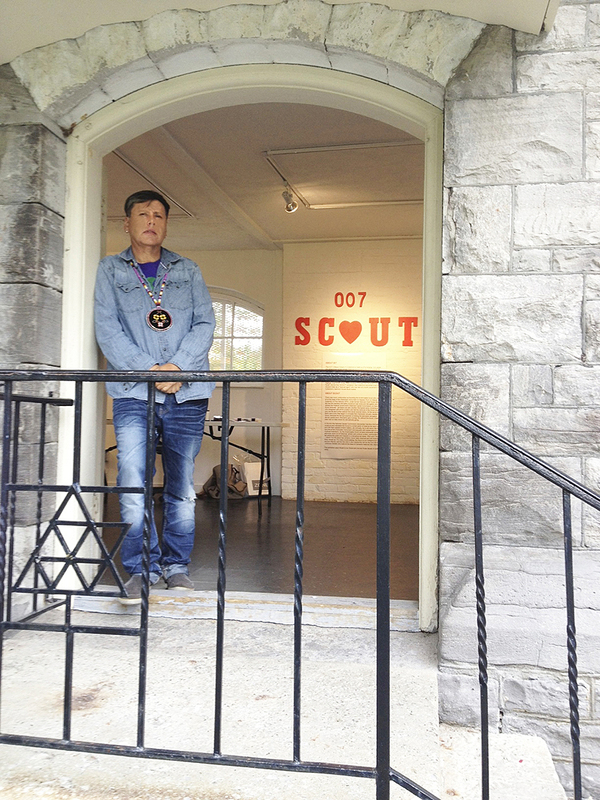 For many Anishinaabeg, the Scout is our metaphorical Unknown Warrior, and he now sits in stoic anonymity not too far from the tomb of the Unknown Soldier who rests at the base of Canada’s National War Memorial. 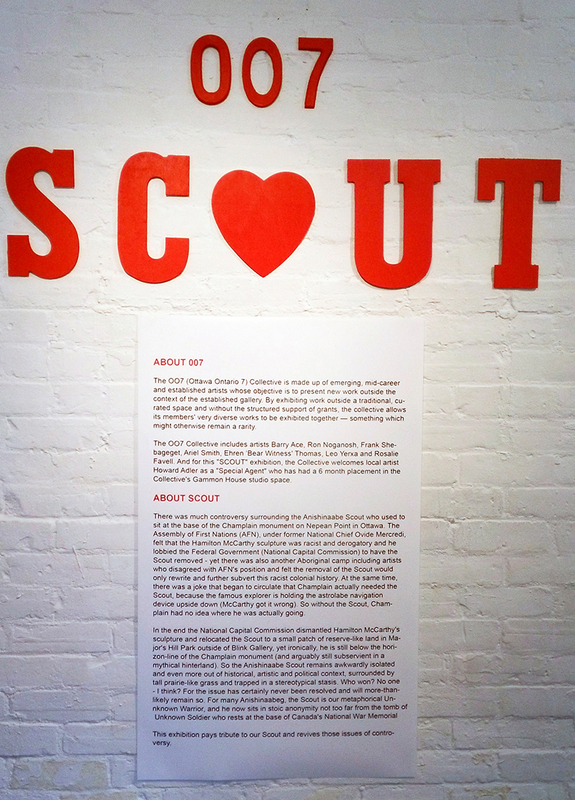 This exhibition pays tribute to our Scout and revives those issues of controversy.